Padarath lamented that the families of both baby Miracle and baby Navene allegedly appealed to the Attorney General for assistance and that it appeared their appeals fell on deaf ears. The MP indicated that there were provisions in the Children’s Life Fund Act that allowed the fund to make exceptions in the case of baby Navene Harripersad. 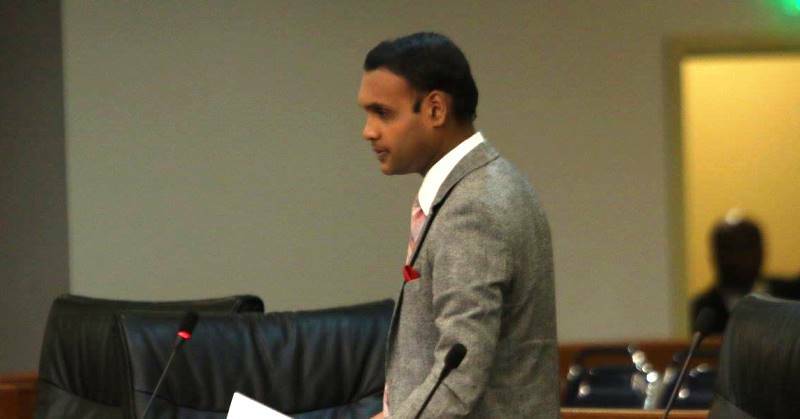 The MP stated that the government has their priorities mixed up since the parents of baby Navene Harripersad indicated that they have been waiting for a few months to get approval from the Attorney General to have the Ministry of Health disburse the necessary funds. He added that it was unbelievable that the Attorney General from March to today’s date still has not had the time to interpret a simple clause which speaks of exceptional circumstances. Padarath expressed his disappointment in the government for putting several Children’s organization under siege. He stated that the Children’s Authority and the Child protection Unit has in recent times voiced their concerns about being understaffed and under-resourced and called on the government to provide these units with the necessary support. The MP called on the government to move expeditiously to address cases before the Children’s Life Fund so that similar situations will not reoccur, he reminded the Attorney General that apologies do not bring back the lives of anyone and that as a parent he should be more compassionate and give the priority that is required to issues like these instead of witch hunting. Padarath added that it was becoming more and more evident that the Attorney General did not have a good command of the Law and that the Minister in the Office of the Attorney General was of little or no help to the substantive office holder. He said had this been the case simple interpretation of the law could have been done and baby Navene Harripersad would have been given a chance at life. He called on the Attorney General to advise on how many other cases are awaiting legal advice from him and how many cases are backlogged and awaiting determination. He further called on the Government to come clean and clear the air on the circumstances surrounding the case of baby Navene Harripersad’s death. Padarath indicated that the Children’s life Fund was the brainchild of the former Prime Minister Kamla Persad Bissessar and that such occurrences did not occur under her tenure. He congratulated her for her foresight and compassion in dealing with Children’s issues as a priority of her government and promised to remain the voice of the voiceless especially the children of Trinidad and Tobago.